The Bloom Township High School District 206 seniors continue to raise the bar, raising more than $31 million in scholarships between its two schools. 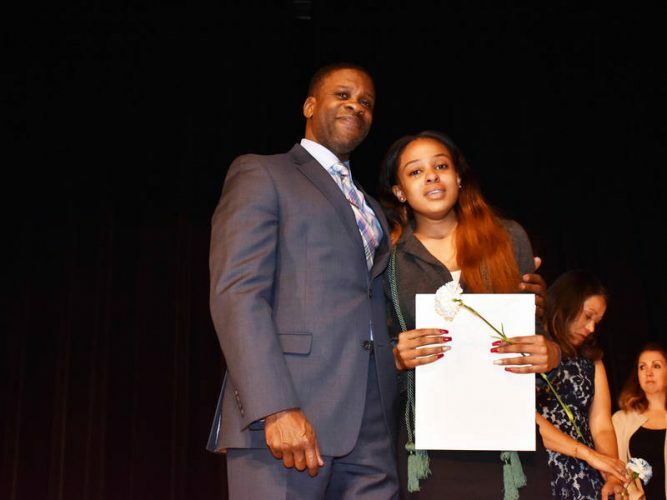 Bloom Trail High School had an equally powerful evening, celebrating $15 million in scholarships with students receiving full rides to several universities. Akinele Reece received offers from Northwestern, Notre Dame and Emory, while Valedictorian Taylor McGrath received a full-ride scholarship offer from Purdue University. Another Bloom Trail Senior, Roberto Julian Garcia totaled total more than $4 million in scholarship offers. Bloom and Bloom Trail had 120 seniors honored as part of the Early College Initiative, having taken courses at Prairie State College to award them with dual credit. Thirty students participated in the target=”_blank” rel=”nofollow noopener”>CNA program at Prairie State and will graduate with the credentials to work as certified nursing assistants. The district also recently rolled out Information Technology and Barber College programming, with 24 students participating in those programs this school year.